This is the official blog of "The Skills Handbook" - South Africa's plain English guide to the post-school education and training system. Mike Stuart is the editor of the publication and this Blog is where you will find out more about the latest edition of the Handbook, as well as relevant news, events and analysis. You may remember Dept Labour's National Scarce Skills List? It has not been updated for a long time, due to changes and improvements taking place in the way it is developed. Now the DHET has just released a call for comments on the top 100 occupations identified in the updated National Scarce Skills List. Your comments are important. The National Scarce Skills List informs the immigration policy of the Department of Home Affairs, and also guides and directs considerable investment by the public and private sector in educating and training people to fill the identified scarce skills. The list also informs the career choices of students. View or download the list below and submit comments to Ms Mmaphake Ramasodi by 20 June 2014. Please also tweet your comments with the hashtag #scarceskills, and these will be listed below as they appear on Twitter. What is a scarce skill again? If you need to be reminded what a scarce skill is, click here. Professor Hoosen Rasool was part of the team that developed the List. If you have any questions about how it was prepared, please post them in the comments section below and we will ask him to respond to you, and post his replies here. What is in the List? This is the draft list, awaiting comments from the public before it will be finalised. I don’t see any listing of entrepreneurial skills? Business management and the like? Correct. While entrepreneurship is a national priority (see the National Integrated HRD Plan, 2014), this is viewed as a critical skill not a scarce skill (see the List above for definitions of the two). When will the final National Scarce Skills List be available? Approximately the end of August is a likely date. @RediTlhabi The Skills Handbook is a fantastic reference guide.The Skills Handbook shld be compulsory reading for all HR practitioners. The Skills Handbook Blog by Mike Stuart (The Skills Handbook) is licensed under a Creative Commons Attribution-ShareAlike 3.0 Unported License. 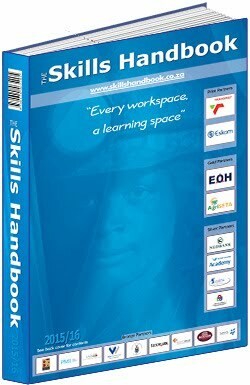 Permissions beyond the scope of this license may be available at mike@skillshandbook.co.za.